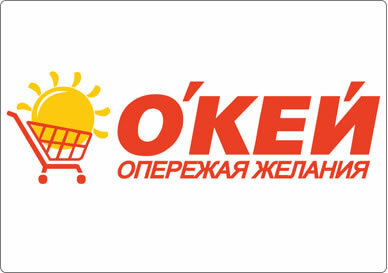 O'key Group S.A., is one of the leading modern Western European food retailers in Russia. Established in 2001, the successful food retailer rapidly grew to cover the vast country in North-Western, Southern, Central, Ural and Siberian regions. Reporting a 12.9% increase of Net Retail Revenue in 2011 totaling RUB92.212 billion ($3.06 billion USD), O'key conveniently offers its consumers 64,000 SKU's via its Hypermarkets and O'key-Express Supermarkets, including its own private labels.